Chesterfield, Missouri friends, mark your calendars for a special Pure Bliss Living event at the Chesterfield Athletic Club on Thursday, July 21 at 7pm! 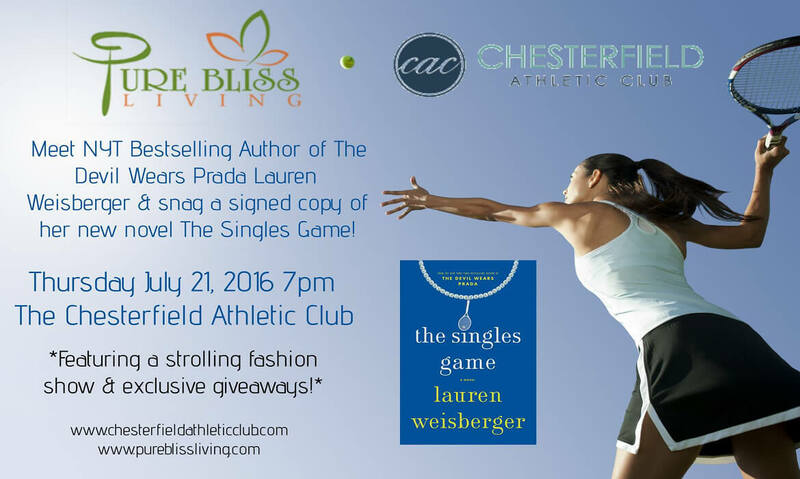 Meet NYT-bestselling author Lauren Weisberger (The Devil Wears Prada) and snag a copy of her new tennis-themed book The Singles Game! You’ll also catch a strolling fashion show and exclusive giveaways. See you there!